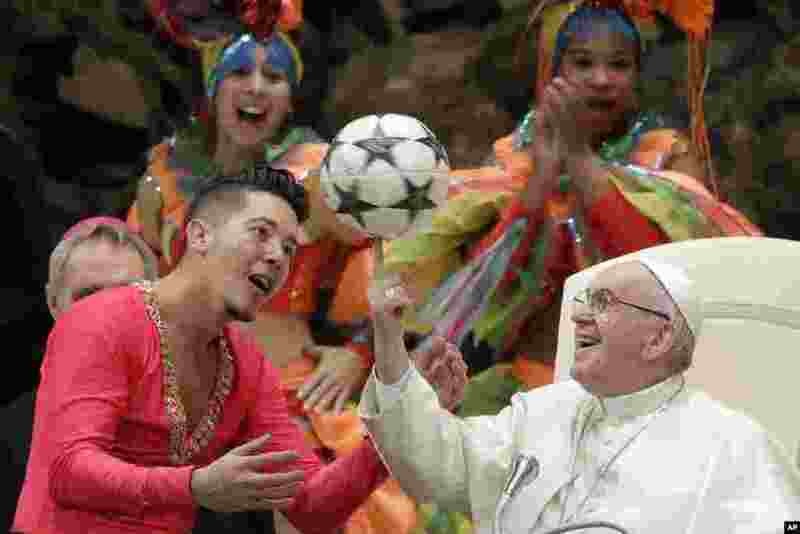 1 Pope Francis twirls a soccer ball presented to him by a member of the Circus of Cuba, during his weekly general audience in the Pope Paul VI hall, at the Vatican. 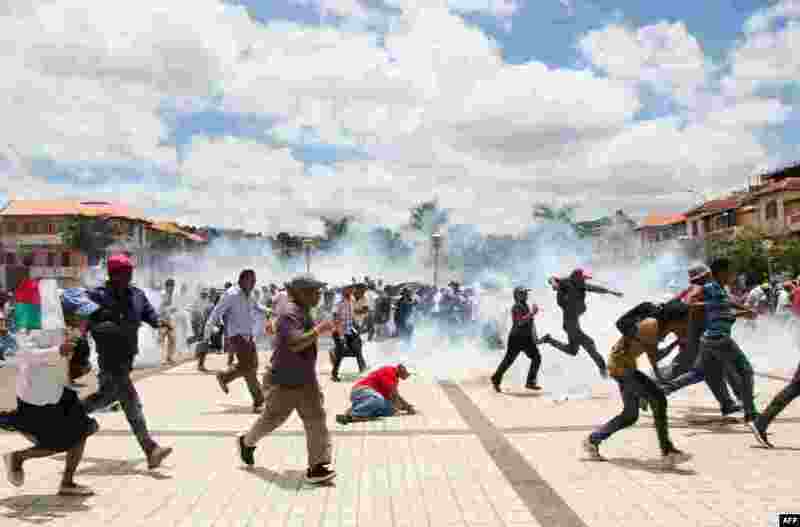 2 Supporters of Madagascar presidential candidate Marc Ravalomanana scramble as security forces fire teargas during a demonstration to protest election results in Antananarivo. 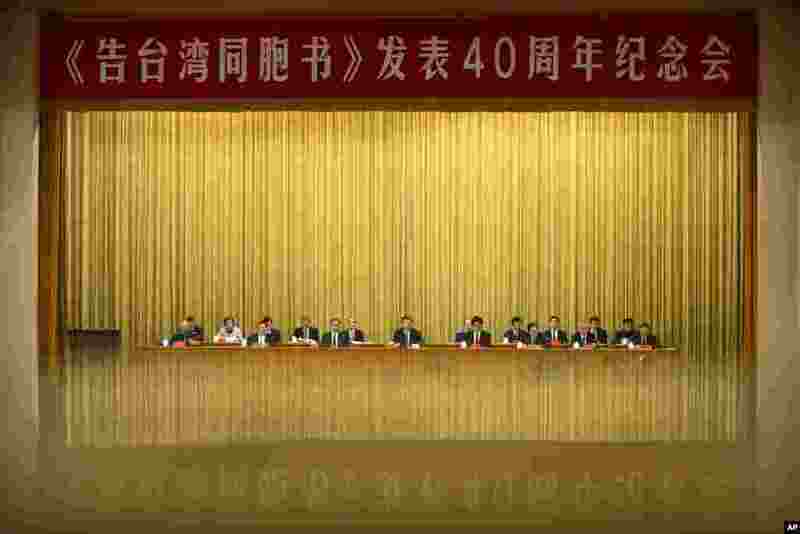 3 A banner is reflected in a polished surface as Chinese President Xi Jinping, center, speaks during an event to commemorate the 40th anniversary of the Message to Compatriots in Taiwan at the Great Hall of the People in Beijing. 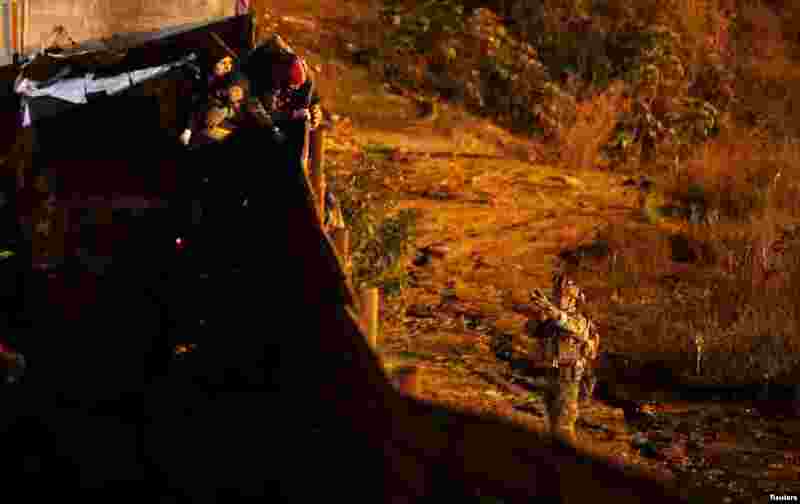 4 A U.S. Customs and Border Protection agent points his weapon at migrants as they prepare to cross the border fence illegally from Mexico into the U.S., in Tijuana, Mexico, Jan. 1, 2019.